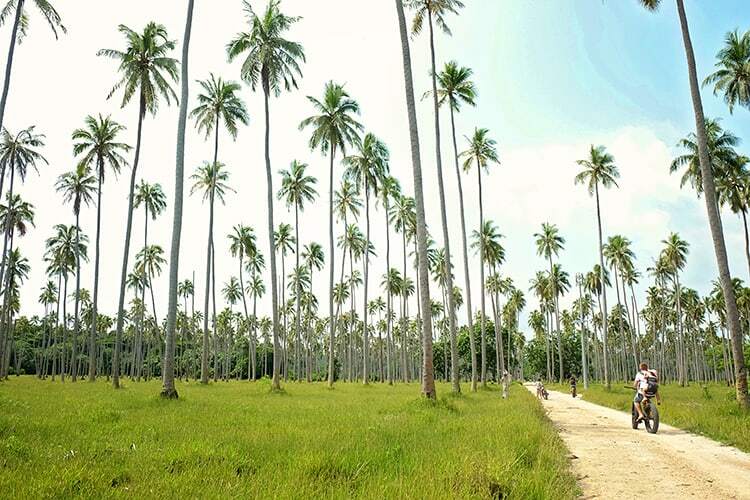 Are you looking for the best family resort in Santo? 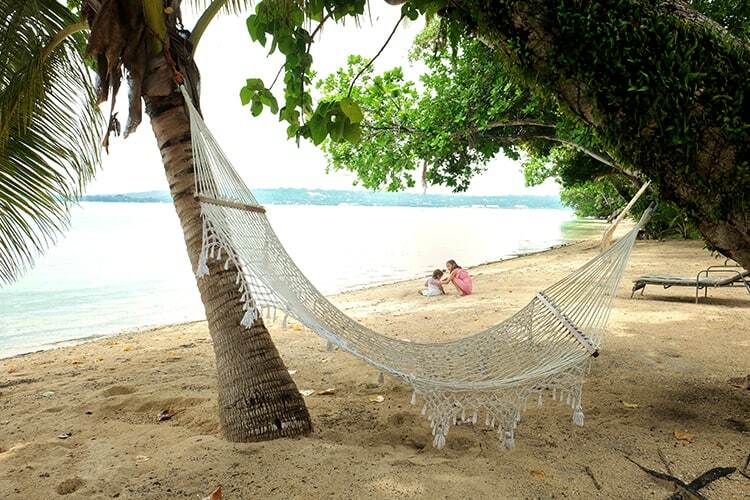 Then you will love Aore Island Resort Vanuatu! Welcome to a paradise resort for a romantic couples retreat or a super relaxing family getaway! This amazing resort has it all. 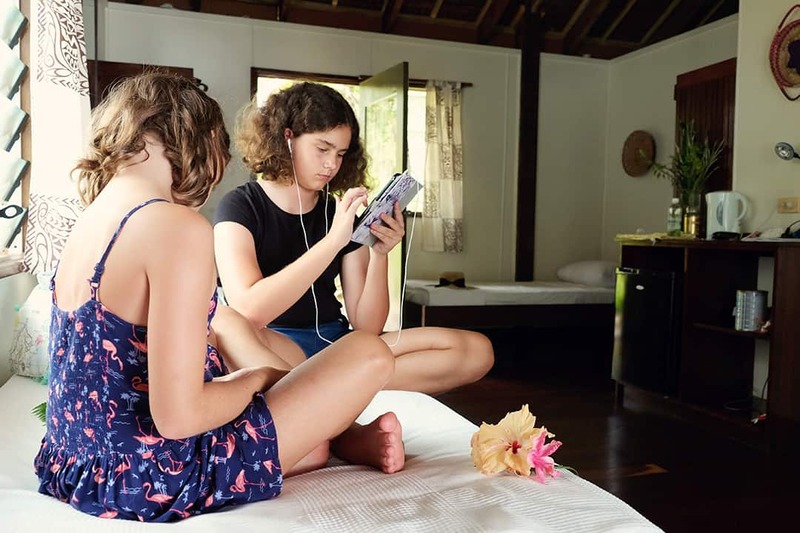 If you are after a bit of blissful relaxation and you desperately in need of recharging your batteries then Aore Resort in Vanuatu will provide that for you. 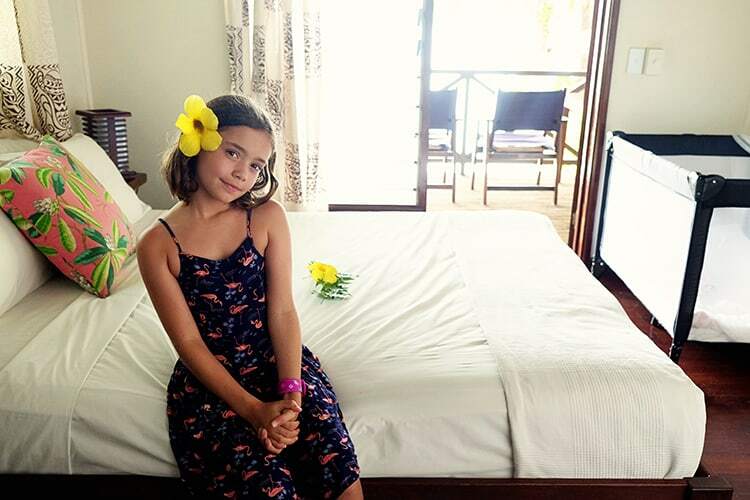 If you are after a perfect resort, where your kids can spend their days having fun whilst you sip on a delicious cocktail in your comfy private beachside sun lounger, then Aore Island is the place for you! What is even better is that this resort is only a short 2h45min flight away from Australia. Are you enticed yet? Well, let me tell you more in our Aore Island Resort review! But first why not watch our fun video of the resort below. Here is a video to show you how much fun we had at Aore Resort! Click play and don't forget to subscribe! 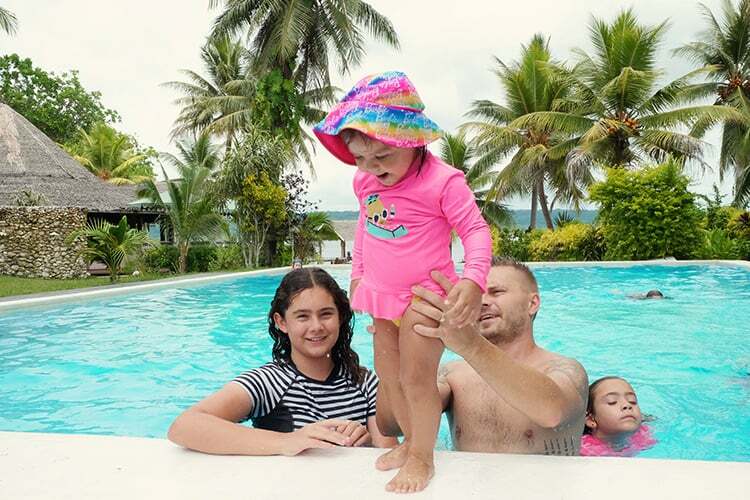 Find below helpful information about our family stay at Aore Island Resort to help you decide whether this is the right resort for your Vanuatu holiday. Where is Aore Island Resort located? 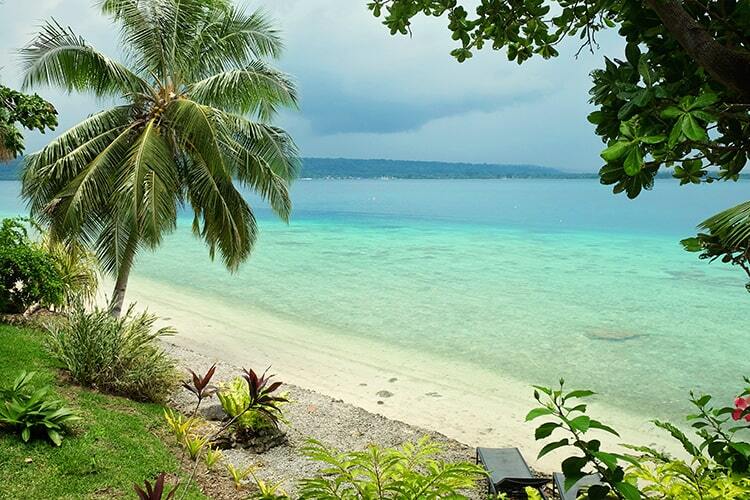 Aore Resort Vanuatu is located approximately 1,900 kilometres northeast of Brisbane, Australia. 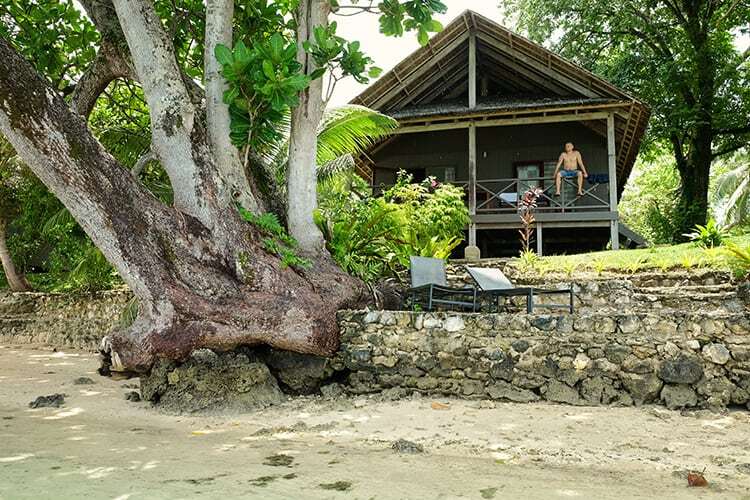 Situated on the beautiful Aore Island (and only three kilometres from Espiritu Santo-Vanuatu's largest island) – Aore Island Resort is a charming 4-star retreat set on a majestic beachfront and ringed by tropical coconut plantations. 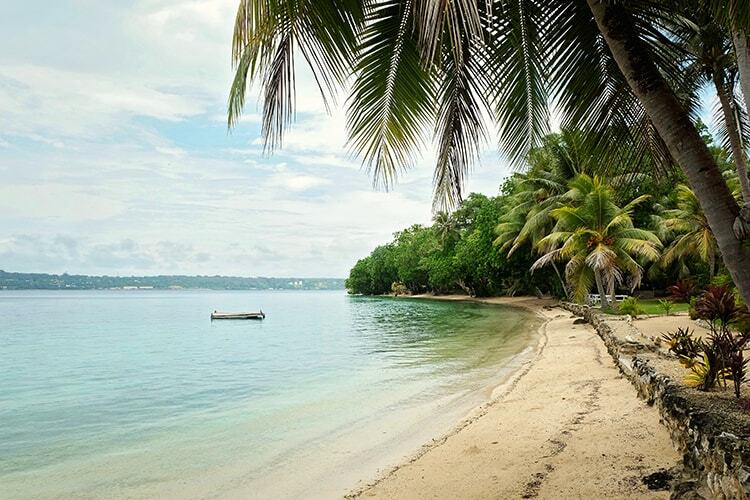 Did you know that Vanuatu was previously called New Hebrides and comprises of staggering 83 Pacific Ocean islands? Yup, Aore is a jewel amongst many! How to get to Aore Island Vanuatu? The fastest way to get to Aore Island Vanuatu is by a direct flight (with either Qantas or Air Vanautu) from Brisbane International Airport, or alternatively, you can get a connecting flight via Port Vila(Vanuatu's capital) to Santo-Pekoa International Airport in Luganville. From there, it is just a five-minute drive to the resort ferry followed by another ten-minute free ferry transfer across the picturesque Segond Channel to the hotel. Their ferry departs DP Wharf at 7:30am, 8:30am, 11:30am, 2:30pm and 4:30pm daily. Aore Island Resort also offers round-trip Santo airport shuttle services at an additional cost. Point of interest: The Segond Channel and Luganville were important American bases during the Second World War. On our stay at Aore Island Resort we had the pleasure of staying in one of their Sunset Bungalows and it was amazing! 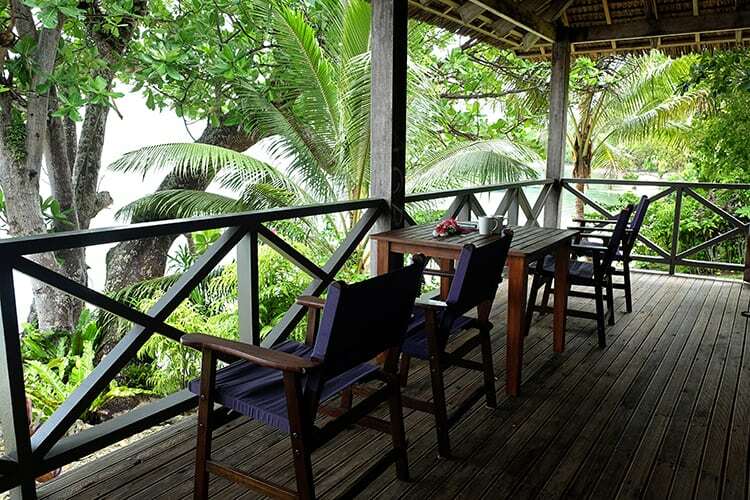 All of the resort's bungalows are built with local timber and Natongora palm trees sourced on the island. The result is an atmosphere of relaxational and traditional ambience. I personally loved the design and the traditional touches of the style of the bungalows. The resort's 18 bungalows are divided into two main categories: Beachfront and Gardenview. Beachfront bungalows are located on the edge of the water, while Gardenview bungalows stand slightly away from the beach and are surrounded by beautifully landscaped gardens. Sunset Bungalows comprise of an ample living area that has two single beds while there is a separate bedroom with a double bed. These bungalows are ideal for families with two or three children, like ours. Although all of the bungalows provide scenic water views, the beachfront ones come with a private stretch of beach, where you can go snorkeling till the heart is content! We also enjoyed many meals on our patio whilst enjoying our view. All of the bungalows are equipped with modern conveniences such as a refrigerator, kettle and coffee/tea, and even irons. There is no air-conditioning, but the ceiling fans do a pretty good job keeping the place cool. The resort's Nakamal Restaurant offers a first-class menu where you can find plenty choices of local and international cuisine. Guests can enjoy a daily tropical buffet breakfast as well as hot breaky on order. Light meals, delicious pizzas and salads are available throughout the day. In order to keep your pallet always excited, lunch menu changes daily. Each meal that comes out of this restaurant is prepared using local ingredients.The bread is produced at the in-house bakery while seafood is delivered to the dock of the resort daily. The food is delicious and the cocktails are yummy! If you wish to totally relax and unwind, then you must check out the resort's Day Spa and get pampered with a rejuvenating massage or an organic facial. Ensure that you do not miss out on a hot stone massage that is done using warm coconut oil. I feel relaxed even thinking about it! 2.Water Sports, Hiking and More! The resort's island location enables guests to have an opportunity to engage in fun and adventurous activities such as snorkeling and kayaking along its beautiful coastline. You can also explore the island either by mountain bike or on horseback. Or you can just lie on the pristine sandy beaches and soak in the majestic beauty of the beach. We loved hanging out by the water edge and we also went for a pretty hot and sweaty ride through the coconut plantations on the island. If you do not feel like too many activities, then you can spend some relaxing time by the resort's 12-meter swimming pool and sip on one of the super delicious cocktails! I personally recommend Rocky’s special! Yum! Aore Island Resort is near popular attractions such as the Santo Golf Course and Mount Hope Waterfall. 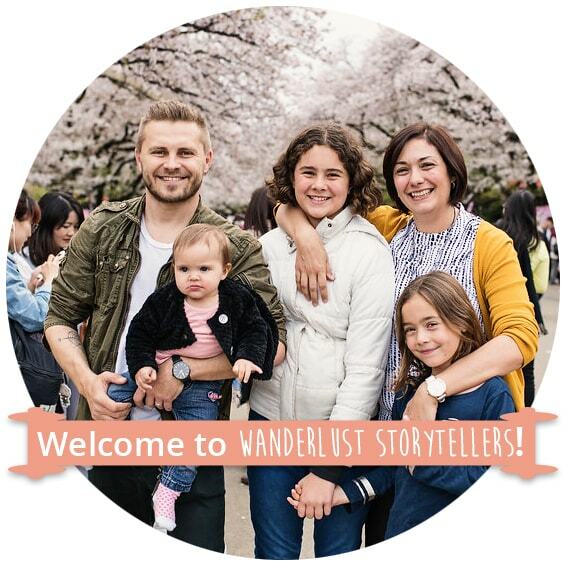 The staff will help organize many tours for you. 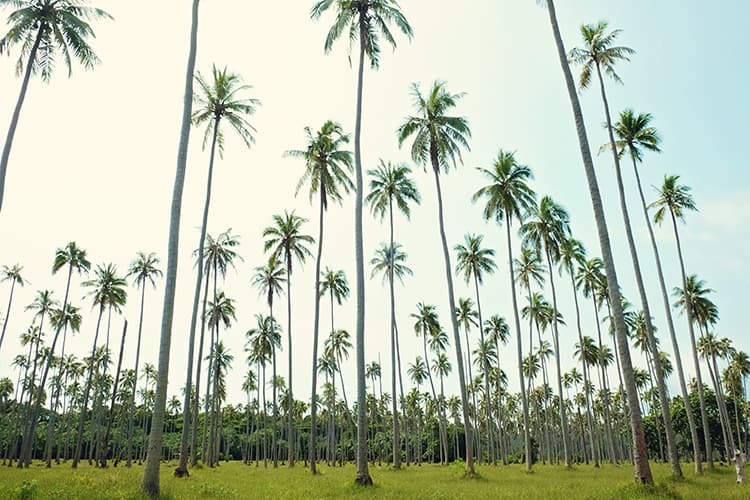 You can choose to visit Santo’s Millennium Caves, check out the Luganville markets, spend some chillaxing time at Port Orly (our favourite) and see the famous Champagne Beach. And if that is not enough, one of the main attractions in the area is diving on the Segond Channel to explore coral-encrusted sunken ships and other relics dating from World War II at the Million Dollar Point. This is the place where American soldiers dumped tonnes of war equipment because they couldn’t transport it back home. Not into diving? One of the most popular tours on the island itself is to visit the Freshwater Plantation and to visit the incredible Bat Cave. 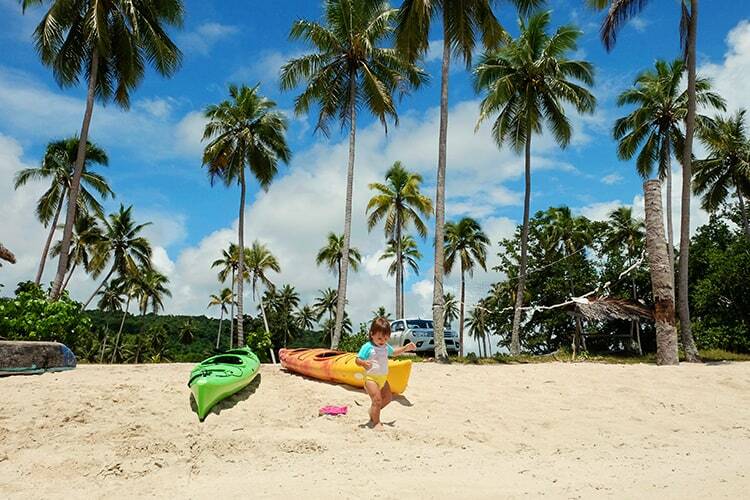 If you are travelling with little ones and you are in need of a break or would like to go kayaking by yourself, you can take advantage of childcare/babysitting services, which are available at additional cost. Personally, I think I would use the babysitting time to simply laze around in this hammock!! 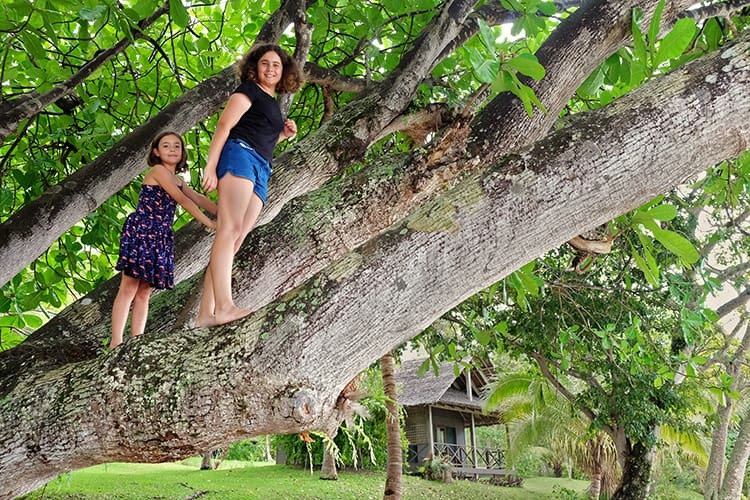 The kids will enjoy trying out their climbing skills on one of the many trees around the resort. You could typically either find our kids up a tree or hanging off the swing below the tree. If you are travelling with kids, Nakamal restaurant offers a great selection of kids meals too and with a smaller price tag. WIN! 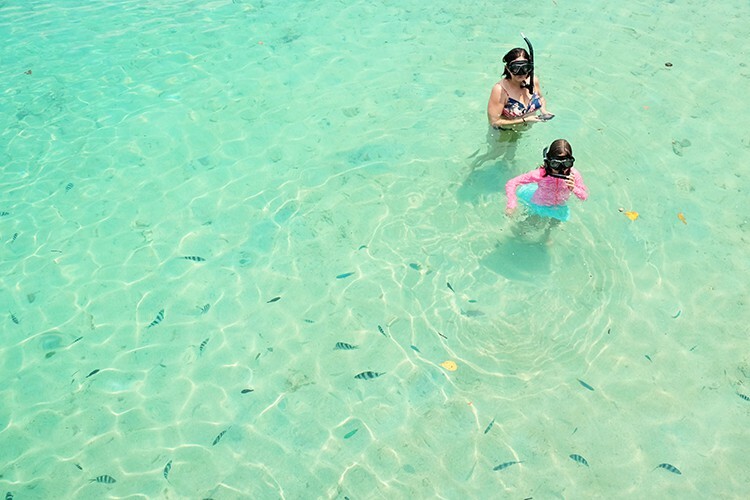 You will find snorkeling gear in your bungalow for the entire family. The water is super clear and you can see some really beautiful fish close to the jetty. Our kids loved trying out all the watersports. 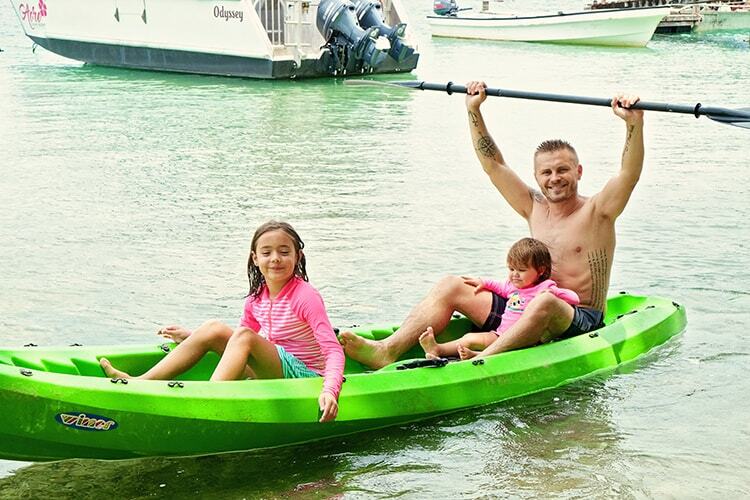 We gave the stand-up paddleboards a workout and little miss Avalee-Rose enjoyed the kayaks. We also loved kayaking out to the fisherman to watch how they go about catching their fish. Our kids loved the kayaks so much that have started looking around at some inflatable kayaks for home. You can grab some bikes and go on an adventure to explore the island. The tracks are pretty flat and the scenery is truly spectacular! Of course, the swimming pool is available as well. I think we spent most of the time at the beach as it was shadier there, but the pool is a great place to be in the late afternoon as well! Whilst we really do feel that Aore Island Resort is the best place to stay when visiting Espiritu Santo Island; we were disappointed in the upkeep of the equipment that we could use. A few of the bikes were in need of repair and we had to go and find someone to pump up one of the wheels on the other bike before we could head out. We also grabbed some flippers, which you can borrow from the watersport shack, but they were broken as well. Whilst you are provided with snorkeling gear, we really wish that they had some coral shoes available to borrow or rent as well. So make sure to bring your own coral shoes as it can be a bit tricky to actually get out into the water to snorkel. Lastly, we really enjoyed the quality and taste of the food at Aore Island Resort. Food was fresh and totally delish, but I really wish that they had a larger choice of buffet breakfast available. You can typically choose from a choice of a few kinds of cereal, some bread, a small selection of fruit and 2 or 3 choices of bakery-style goodies. A larger variety would have been fabulous! Staying at Aore Island Resort Vanuatu was one of the most memorable stays that we had whilst travelling around this beautiful country! You simply cannot beat hilling out on the veranda of a Sunset bungalow at Aore. 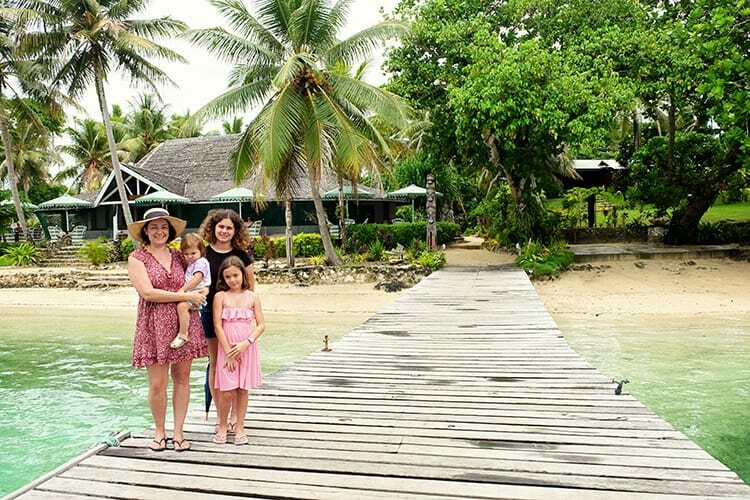 We loved our stay, the warm hospitality of the resort’s staff and the relaxed feel that we had at Aore Island Resort. We enjoyed the food, the cocktails, snorkeling, kayaking and all of the other activities that the resort has to offer! It was a wonderful stay and we highly recommended it! Special thanks to Aore Island Resort for hosting us for our stay. As always, the content & opinions expressed here are entirely our own. Love the beachside bungalow. My husband is a diver and this has long been on his list. But snorkeling from your own piece of beach sounds fun. I think we’d have to do the Bat Cave. Too bad some things weren’t quite up to snuff but sounds like a great visit just the same. We had a brilliant time 🙂 And yes I’m sure your husband will love the diving and we heard the cave incredible too! Mmm… in-house bakery and local seafood? I’m sold! We’d love the Sunset Bungalows because of the separate bedroom since we travel with our kids. There are too few hotels and resorts that understand the importance of this! 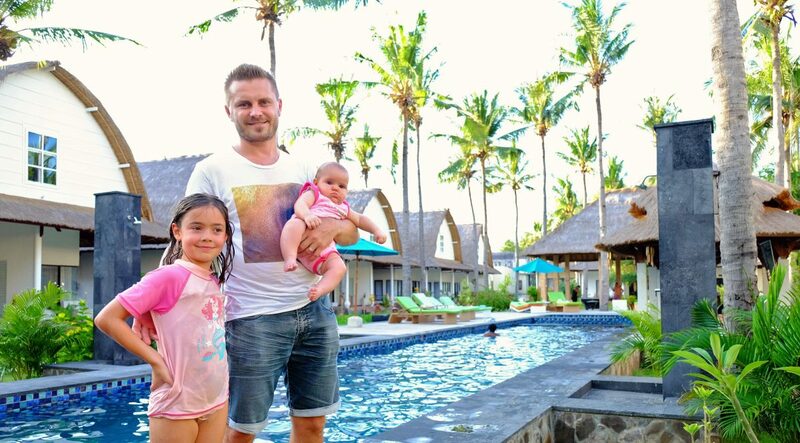 Aore Island Resort really do look like a perfect accommodation for a family getaway! Didn’t know that Vanuatu is comprised of 83 islands and called New Hebrides before. Thanks for writing a comprehensive and honest review! What an idyllic place to escape to! I love the balcony sit-outs with that dark wood panelled floor. The beach looks secluded and peaceful and I’m sure you all had a super time, including the kids. Yes, I am ready for “a bit of blissful relaxation”! 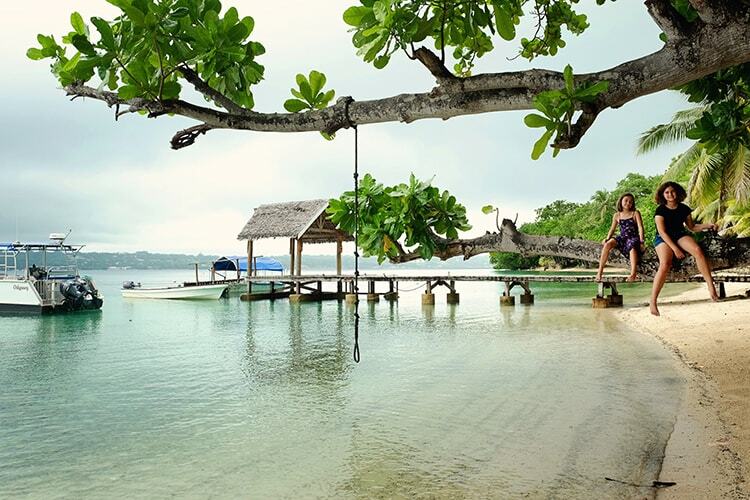 And Aore Island Resort looks perfect for that and in such a beautiful place like Vanuatu. I like that there is a wonderful diversity of activities. I can picture a perfect day of biking, hanging out at the beach, sipping cocktails, and dining on the veranda with a view. Nice..
Ooh this looks gorgeous. I know nothing about Vanuatu – wish it was just as close to the west coast of Oz as the east! My son would be following your bigger girls with the tree climbing for sure. And plenty of swimming. True, we are lucky that the flight is short and sweet! Much better than Bali in my opinion, but more expensive, which is why I guess more families tackle the longer flights to Bali. 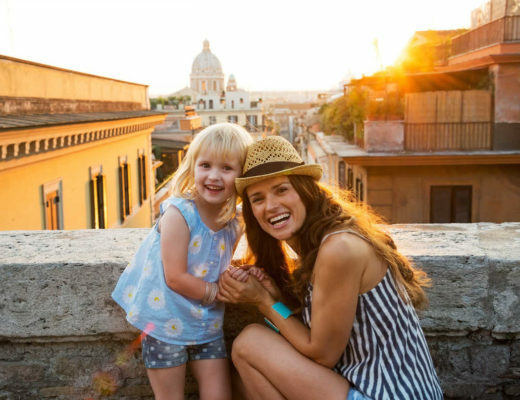 This looks like a dream family vacation! I love this area of Australia and I bet it’s even more fun with the family. Those beaches are stunning and some of the activities they had looked like a blast! Thanks for your honest opinion at the end as well. Yes, it is perfect! The water was the best and some of the best we saw in Vanuatu. So pretty! A beachfront room with not only a view of that fantastic coast but also your own private beach? I’d say that is too good to be true! And look at those lovely green waters, I’d love to go swimming or snorkeling there. Such a dream family vacation and a fantastic way to just sit back, relax and spend quality time together. I’d love to get a beach massage too.